So here we are on Huw’s 22nd birthday. Still missing our beautiful boy so much, still disbelieving of what happened, and disbelieving it was as long as 6 ½ years ago. It’s heart-breaking that Huw should be the tall, dark, handsome, engaging and happy young man he was as a 15 year old – and that we should all be loving him and seeing him making his way as a 22 year old in adult life alongside his sister. These are the very sad things about Huw’s birthday. The happier things about his birthday are thinking about the 15 lovely birthdays he did have – his 15th birthday was fantastic – a day at the Paintball with his friends the weekend before his birthday followed by a fun evening with them that night. And on his actual birthday it was pizza in Holmfirth with all 4 of us, which was lovely evening – Huw was on great form – happy, engaging, funny and kind. Another happier thing about Huw’s birthday is always seeing Carys – this year we’ll be watching her play hockey and then the 3 of us going for lunch. Being with Carys is wonderful and we’re just as proud of her as we are of Huw. Since Huw’s last birthday Nick’s Mum has passed away. Known to Huw and Carys as Granny, she was also clearly shocked by what happened to Huw. She showed her love for Huw in lots of nice ways when Huw was here, and also in her later years since 2011. And since she passed away in January, she has continued to show her love – we found out that she had made provision for a very generous donation to the Huw Thatcher Trust in her Will. We have discharged Mum’s wishes and the money is already being put to good use to help fund improved outside and garden facilities at the BIRT premises called ‘Osman House’ near Leeds. 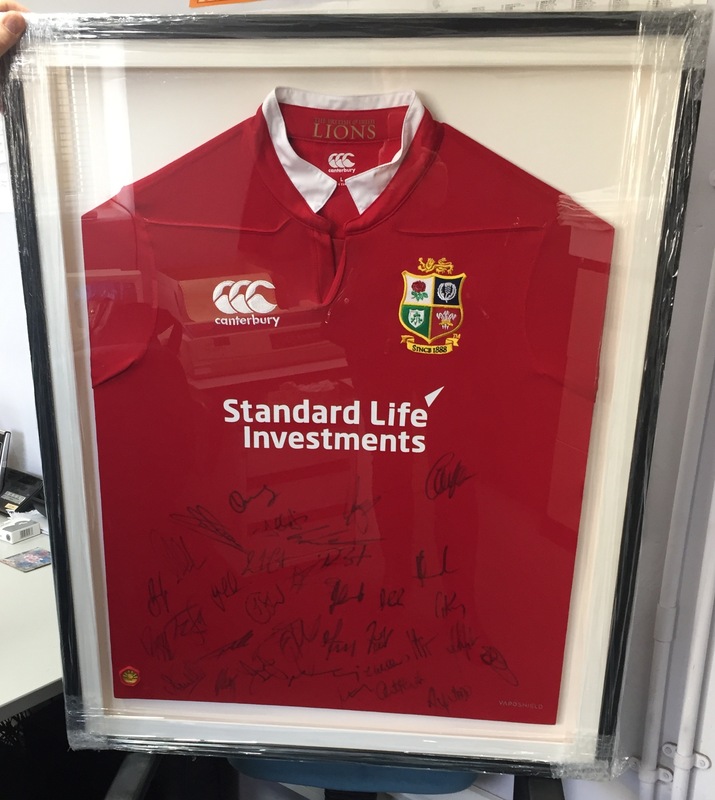 I also want to say as a result of Mum’s passing, we acquired this framed and signed shirt from the British Lions tour in New Zealand earlier this year. We are grateful that Huw’s Uncles Rob and Steve, and his Aunty Fran donated this to the Huw Thatcher Trust, and that Huw’s Uncle Tony then purchased it for £200! This is further donation to the Trust which will be used to purchase a brick with Huw’s name on it, in his memory at the new Upperthong Cricket Clubhouse which is being built over the coming months. Thank you so much to Rob, Steve, Fran and Tony, and this is very fitting as Huw had so many great times with his uncles and aunts and also at Upperthong Cricket Club.